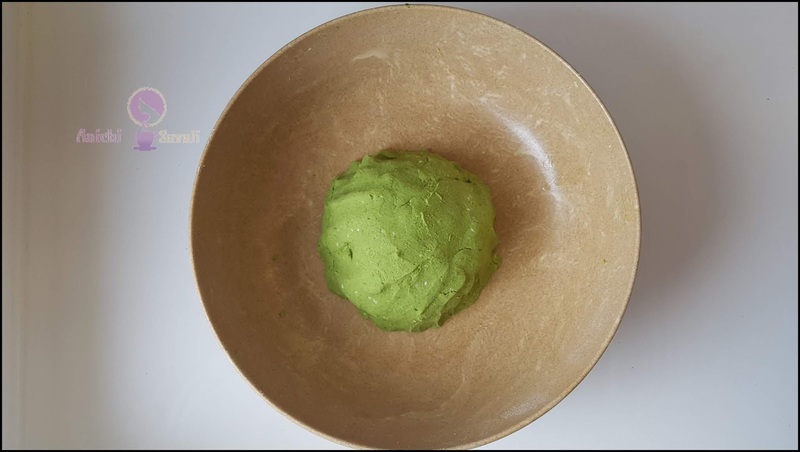 Palak-Jowar Bhakri is my kind food, it's savory, flavourful and toasty flatbread for any meal of the day and a great tasting recipe for the whole family. 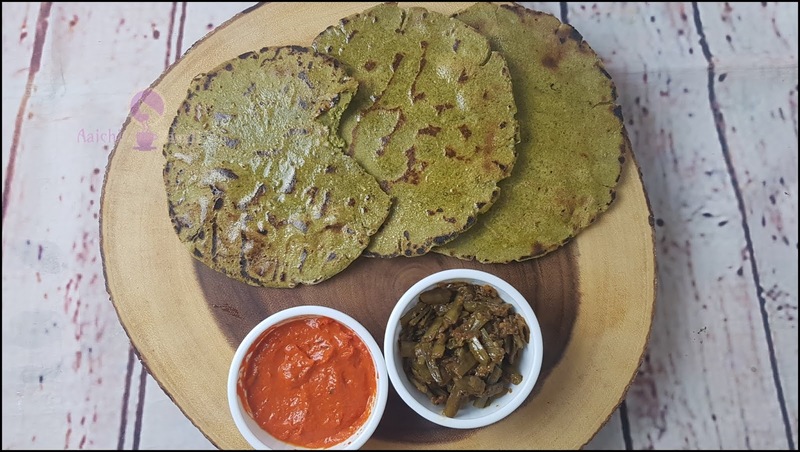 Instead of the same old side of Bhakri, serve up toasty, crispy and mouth-watering Palak-Jowar Bhakri (Spinach-Sorghum Flatbread). This flatbread cooked on the stovetop and it takes a few minutes to crisp and puffs up. The aroma of cooked bhakri is one of my favorites and one that was drifting through my kitchen. This easy and delicious Indian flatbread made with simple ingredients and in a few minutes with no yeast, no oil/butter, no eggs, and no fancy method. All the green color and the taste of spinach flavor you love with tasty garlic goodness. I just made this for lunch today and have been making it for years, as we both (me and my hubby) loves bhakri. It has simple, straight forward flavors. It's a great way to add Spinach or any greens into your diet. Always delicious! They're low in fat, work well with almost any veggies. This gluten-free and greens flatbread is ridiculously yummy for lunch or dinner. Or it can be a tasty snack or could eat this for breakfast, and nobody would judge you. It's just too good. Is this Healthier flatbread recipe? This is absolutely vegan, and gluten-free flatbread is naturally lower in carbohydrates, fats and provides the right amount of protein. Each Spinach-Sorghum flatbread offers 100 calories, 20 carbs, and 5 protein. Each flatbread rolled into a thin circular shape. It's perfect for everyone to eat. What can Spinach-Sorghum Flatbread be used for? Can be eaten by dipping into your favorite curries or stews. Once flatbread cooked you can brush it with melted butter, minced garlic and coriander leaves, it tastes damn good! Can be wrapped around veggies and meat like we make Frankie. You can top this flatbread with your favorite spices, chat masala and with seasoning. Get ready to be enraptured at how easy it is to make your own flatbread at home! Preparation Time: 20 Minutes; Cooking Time: 10 Minutes. Each Spinach-Sorghum Flatbread Contains 100 Calories. 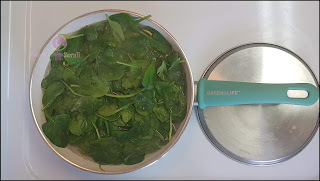 In a pan add water and boil it, once water boiled add washed spinach leaves and cook it for 2 to 3 minutes. 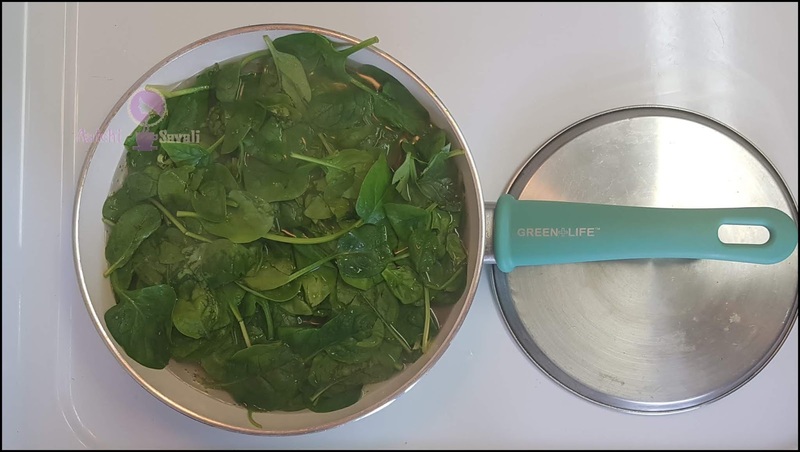 Now, drain the water and transfer the blanched spinach into the grinder, add green chilies garlic and grind it to make the puree. 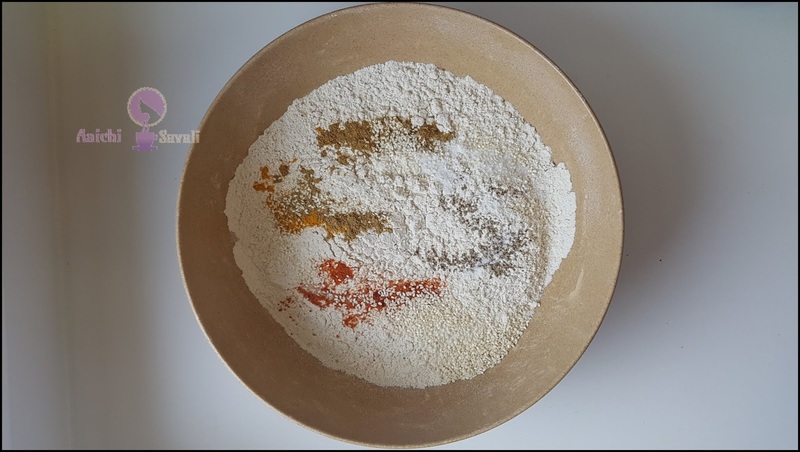 In a mixing bowl add jowar flour, red chili powder, turmeric powder, cumin, and coriander powder, asafoetida, salt, carom seeds, and sesame seeds and mix well. 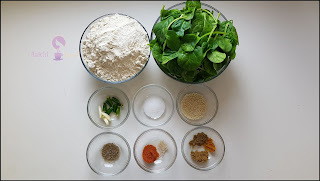 Now add spinach paste into the flour and knead to make the dough(add water if needed). Divide dough into equal parts and make a small ball from the divided dough. Sprinkle some flour on floor or rolling board and flatten dough ball by rolling with your palms, make it a round shape. Meanwhile, heat the pan or tawa and place bhakri on tawa (make sure pan or tawa should be hot). Be careful while putting the bhakri on tawa dusted side should be an upper side. Now, spread some water on bhakri and flip it immediately and roast from both sides with the help of hand as shown in the video(this technique helps bhakri to puff up nicely). 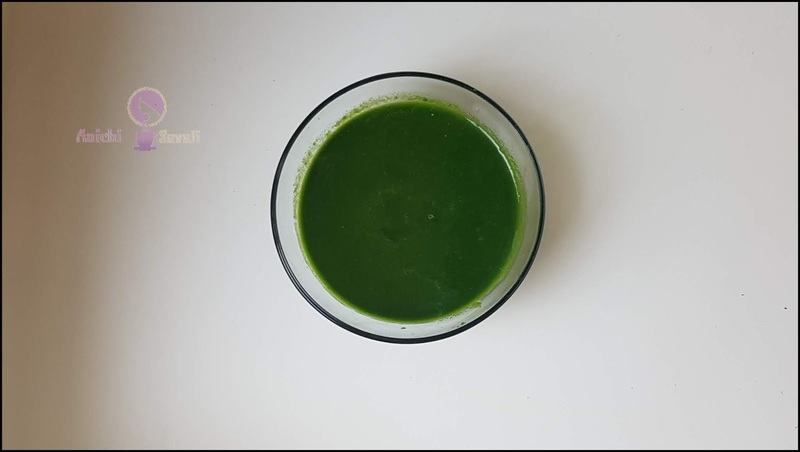 Tadaa, crispy, healthy and tasty palak bhakri is ready to serve. It goes well with any curry. Enjoy!!! Knead, knead, knead to make dough soft(it helps to make bhakri puffy). 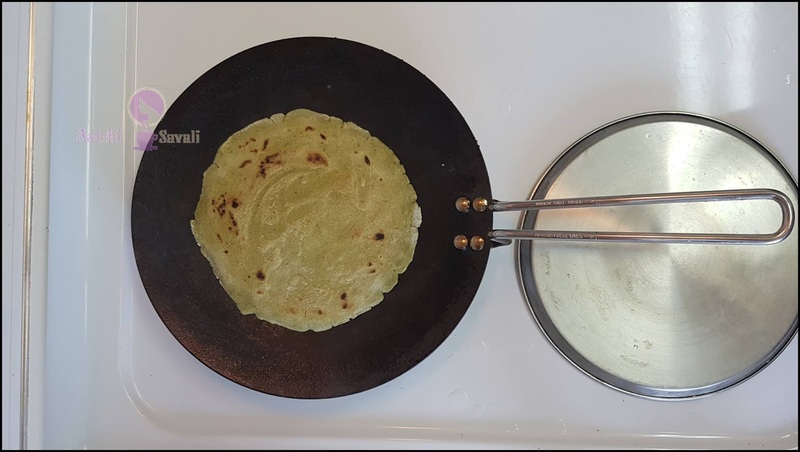 While rolling bhakri place one hand around the edges and then roll with the other hand, that will help you to make crack free and round bhakri. Per serving contains 100 calories, along with 20.7 g carbohydrates, 2.6 g dietary fiber, 1.74 g fats, and 5.3 g protein. 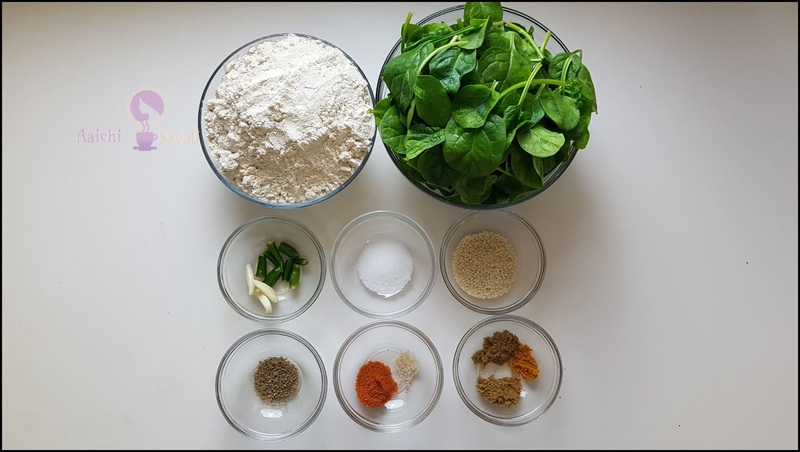 Spinach-Sorghum Flatbread is low in fat, carb and Contains a right amount of protein. Each serving of Spinach-Sorghum Flatbread Contains 100 calories, 20 g carbs, 2.6 g dietary fiber, 1.75 g fats, and 5.3 g proteins. It is high in dietary fiber, vitamins, and minerals. The folate in spinach is right for your healthy cardiovascular system, and magnesium helps lower high blood pressure. It is good to eat Spinach-Sorghum Flatbread for lunch and dinner.